If you are watching a news or talk show program and inaccurate information is given about high recidivism, or all registrants are defamed as being "sexual predators" or "monsters", etc., please let as know so we can respond. Same goes for a major newpaper, magazine or website. At USA FAIR, one of our key goals is to hold the media accountable for communicating falsehoods. To accomplish this we need you to be our eyes and ears because we obviously can't watch every program, visit every website or read every publication. 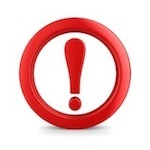 If you see or hear something that you think we ought to know about, please use this page to alert us ASAP. Thank you.